If you want to control storage account failover so that you can determine when storage account write access is required and the secondary replication state is understood, account failover for geo-redundant storage (GRS) enabled storage accounts is now available in preview. If the primary region for your geo-redundant storage account becomes unavailable for an extended period of time, you can force an account failover. As is the case with most previews, account failover should not be used with production workloads. There is no production SLA until the feature becomes generally available. Reference data is a dataset that is static or slow changing in nature that you can correlate with real-time data streams to augment the data. Stream Analytics leverages versioning of reference data to augment streaming data by the reference data that was valid at the time the event was generated. You can try using Azure SQL Database as a source of reference data input to your Stream Analytics job today. This feature is available for public preview in all Azure regions. This feature is also available in the latest release of Stream Analytics tools for Visual Studio. Azure Data Lake Storage Gen2 and Azure Data Explorer are now generally available, while Azure Data Factory Mapping Data Flow is available in preview. Azure Data Lake Storage (ADLS) combines the scalability, cost effectiveness, security model, and rich capabilities of Azure Blob Storage with a high-performance file system that is built for analytics and is compatible with the Hadoop Distributed File System. 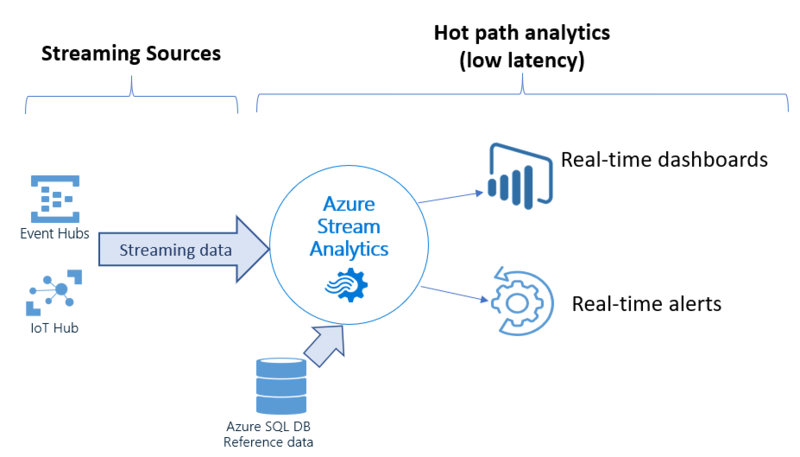 Azure Data Explorer (ADX) is a fast, fully managed data analytics service for real-time analysis on large volumes of streaming data. ADX is capable of querying 1 billion records in under a second with no modification of the data or metadata required. ADX also includes native connectors to Azure Data Lake Storage, Azure SQL Data Warehouse, and Power BI and comes with an intuitive query language so that customers can get insights in minutes. With Mapping Data Flow in Azure Data Factory, customers can visually design, build, and manage data transformation processes without learning Spark or having a deep understanding of their distributed infrastructure. 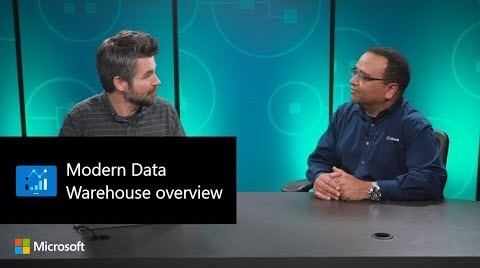 Manoj Raheja joins Lara Rubbelke to demonstrate Azure Data Explorer (ADX) and provide an overview of the service from provisioning to querying. ADX is a fast, fully managed data analytics service for real-time analysis on large volumes of streaming data. It brings together a highly performant and scalable cloud analytics service with an intuitive query language to deliver near-instant insights. Learn about the new code-free visual data transformation capabilities in Azure Data Factory as Gaurav Malhotra joins Lara Rubbelke to demonstrate how you can visually design, build, and manage data transformation processes without learning Spark or having a deep understanding of the distributed infrastructure. Azure Cost Management now generally available for enterprise agreements and more! Azure Cost Management is now generally available for all our Enterprise Agreement (EA) customers from within the Azure Portal. Azure Cost Management enables you to monitor all you spend through easy to use dashboards, create budgets, and optimize your cloud spend. This post also announces the public preview for web direct Pay-As-You-Go customers and Azure Government cloud. Azure Cost Management is available for free to all customers and partners to manage Azure costs. The Cloudyn portal will continue to be available to customers while we integrate all relevant functionality into native Azure Cost Management. The Microsoft Healthcare Bot is a white-labeled cloud service that powers conversational AI for healthcare. It’s designed to empower healthcare organizations to build and deploy compliant, AI-powered virtual health assistants and chatbots that help them put more information in the hands of their users, enable self-service, drive better outcomes, and reduce costs. The Microsoft Healthcare Bot is now available in the Azure Marketplace. Julia White, Corporate Vice President, Microsoft Azure covers how Azure provides the most comprehensive set of analytics services from data ingestion to storage to data warehousing to machine learning and BI. Each of these services have been finely tuned to provide industry leading performance, security and ease of use, at unmatched value. 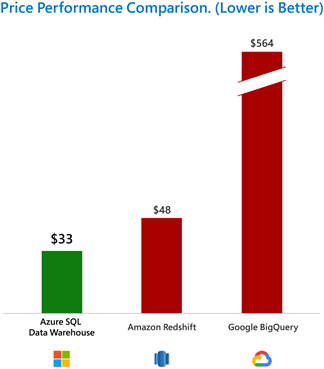 In a recent study by GigaOm, they found that Azure SQL Data Warehouse is now outperforming the competition up to 14x and up to 94% cheaper when compared with our competitors. You now have the option to configure all your lab virtual machines (VMs) to be created in a single resource group. Learn how you can improve governance of your development and test environments by using Azure polices that you can apply at the resource group level. This enables you to use a script to either specify a new or existing resource group within your Azure subscription in which to create all your lab VMs. ARM environments created in your lab will continue to remain in their own resource groups and will not be affected by any option you select while working with this API. Two new Azure Reserved VM Instances’ (RI) features are now available that can provide you with additional savings and purchase controls. Classic VMs and Cloud Services users can now benefit from the RI discounts. In addition, Enterprise Dev/Test and Pay-As-You-Go Dev/Test subscriptions can now benefit from the RI discounts. Azure Data Factory (ADF) is a fully-managed data integration service for analytic workloads in Azure, that empowers you to copy data from 80 plus data sources with a simple drag-and-drop experience. Also, with its flexible control flow, rich monitoring, and CI/CD capabilities you can operationalize and manage the ETL/ELT flows to meet your SLAs. A set of eight new Azure Data Factory connectors are now available that enable more scenarios and possibilities for your analytic workloads, including the ability to ingest data from Google Cloud Storage and Amazon S3. Azure IoT Edge enables you to bring cloud intelligence to the edge and act immediately on real-time data. Azure IoT Edge already supports a variety of Linux and Windows operating systems as well as a spectrum of hardware from devices smaller than a Raspberry Pi to servers. 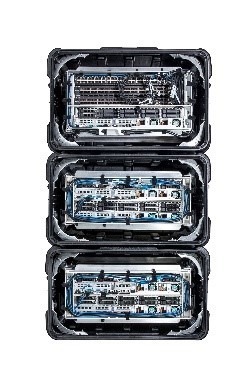 Supporting IoT Edge in VMware vSphere offers you even more choice if you want to run AI on infrastructure you already own. 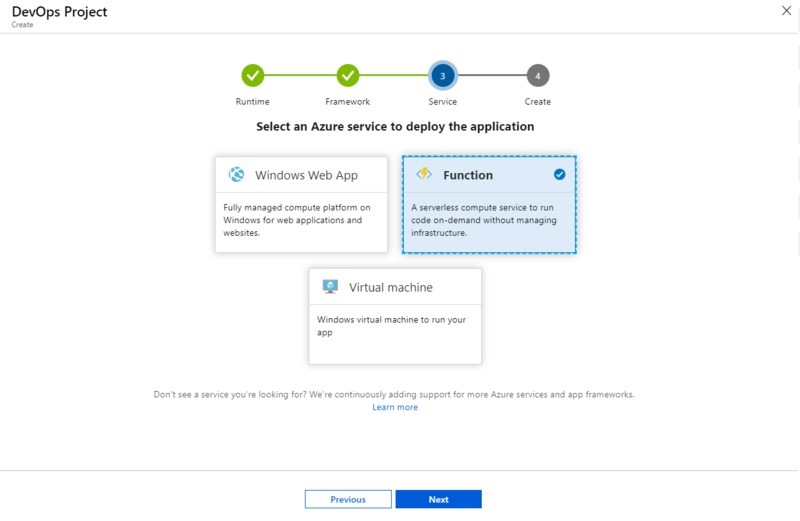 VMware simplified the deployment process of Azure IoT Edge to VMs using VMware vSphere. Additionally, vSphere 6.7 and later provide passthrough support for Trusted Platform Module (TPM), allowing Azure IoT Edge to maintain its industry leading security framework by leveraging the hardware root of trust. Since version 3.0, PowerShell has supported applying argument completers to cmdlet parameters. We added argument completers to the Azure PowerShell modules that allow you to select valid parameter values without needing to make additional calls to Azure. These completers make the required calls to Azure to obtain the valid parameter values. Argument completers added include: Location, Resource Group Name, Resource Name, and Resource Id. Always On availability groups (AG) provide high availability and disaster recovery capabilities to your SQL Server database, whether on-premises, in the cloud, or a combination of both. Deploying an Always On Availability Group configuration for SQL Server on Azure VM is now possible with a few simple steps using the expanded capabilities enabled by SQL VM resource provider and Azure SQL VM CLI. We are enhancing Azure Migrate to deliver a unified and extensible migration experience with a goal of enabling customers and partners to plan, execute, and track their end to end migration journey using Azure Migrate. Delivering an integrated end-to-end migration experience that enables you to discover, assess, and migrate servers to Azure is the goal. Sign up for the private preview to try enhanced assessment and migration capabilities. In February, the Azure portal will bring you updates to several compute (IaaS) resources, the ability to export contents of lists of resources and resource groups as CSV files, an improvement to the layout of essential properties on overview pages, enhancements to the experience on recovery services pages, and expansions of setting options in Microsoft Intune. Azure Monitor now integrates the capabilities of Log Analytics and Application Insights for powerful, end-to-end monitoring of your applications. Learn what was added throughout the month of January to Application Insights, Log Analytics, Azure Monitor Workbooks, and Azure Metrics. In addition, Workbooks are now available in Azure Monitor for VMs. The healthcare industry is rapidly adopting the emerging standard HL7 FHIR®, or Fast Healthcare Interoperability Resources. This robust, extensible data model standardizes semantics and data exchange so all systems using FHIR can work together. Azure API for FHIR® enables rapid exchange of data in the FHIR format and is backed by a managed Platform-as-a Service (PaaS) offering in the cloud. Simplify data management with a single, consistent solution for protected health information. In the latest deployment of Azure DevOps Projects now available to all customers, we have added support for Azure Cosmos DB and Azure Functions as target destinations for your application. This builds on the existing Azure App Service, Azure SQL Database, and Azure Kubernetes Service (AKS) support. Scheduled Events will now be triggered when Azure predicts that hardware issues will require a redeployment to healthy hardware in the near future, and provide a time window when Azure will redeploy the VMs to healthy hardware if a live migration was not possible. You can initiate the redeployment of your VMs ahead of Azure automatically doing it. The Siphon team shares their experiences and learnings from running one of world’s largest Kafka deployments. Besides underlying infrastructure considerations, they discuss several tunable Kafka broker and client configurations that affect message throughput, latency and durability. After running hundreds of experiments, they standardized the Kafka configurations required to achieve maximum utilization for various production use cases. They also explain how to tune a Kafka cluster to configure producers, brokers and consumers for the best possible performance. A network virtual appliance (NVA) is a virtual appliance primarily focused on network functions virtualization. A typical network virtual appliance involves various layers four to seven functions like firewall, WAN optimizer, application delivery controllers, routers, load balancers, IDS/IPS, proxies, SD-WAN edge, and more. Common best practices include: Azure-accelerated networking support, multi-NIC support, using Azure Load Balancer for a high availability (HA) port load balancing rule, and support for Virtual Machine Scale Sets (VMSS). 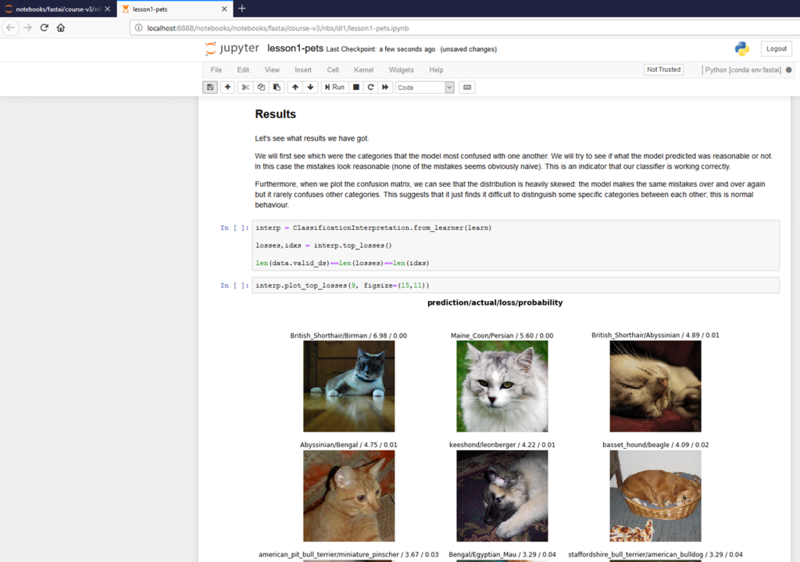 The Practical Deep Learning for Coders 2019 course from fast.ai helps software developers start building their own state-of-the-art deep learning models. Developers who complete this course will become proficient in deep learning techniques in multiple domains including computer vision, natural language processing, recommender algorithms, and tabular data. Learn how you can run this course using the Azure Data Science Virtual Machines (DSVM). This blog is a continuation of a series of blog posts to share best practices for improving performance and scale when using Azure Database for PostgreSQL service. 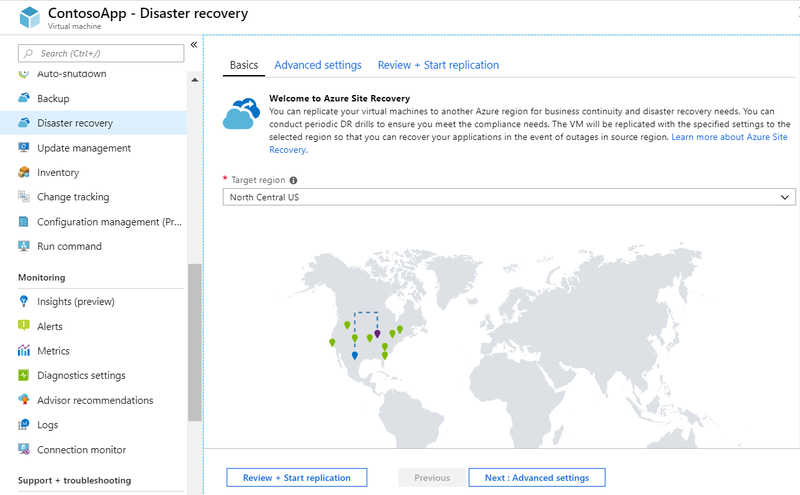 This post focuses on the benefits of using connection pooling and provides recommendations to improve connection resiliency, performance, and scalability of applications running on Azure Database for PostgreSQL. As promised, Jeremy Likness, a Microsoft Cloud Advocate, takes a thorough look at the serverless backbone for all your event-driven computing needs: Azure Event Grid, a single service for managing routing of all events from any source to any destination. Tanya Janca, a Microsoft Cloud Advocate, shares a list of her thoughts on penetration testing (pentesting) Azure applications as she sets out to read Pentesting Azure Applications by Matt Burrough. She promises a future post once she finishes reading the book. Alex Frankel joins Scott Hanselman to discuss Azure Blueprints. Environment creation can be a long and error prone process. Azure Blueprints helps you deploy and update cloud environments in a repeatable manner using composable artifacts such as policies, role-based access control, and Azure Resource Manager templates. Gaurav Malhotra and Scott Hanselman explore tagging support and enhanced monitoring capabilities, including dashboards and improved debugging support in Azure Data Factory. Data integration is complex and the ability to monitor your data factory pipelines is a key requirement for dev ops personnel inside an enterprise. Now, you can tag/annotate your data factory pipelines to monitor all the pipeline executions with that particular tag. In addition, Data Factory visual tools provide dashboards to monitor your pipelines and an ability to monitor your pipeline execution by the Integration Runtime (IR) upon which the activities execute. This episode provides an overview of how to use our serverless Ethereum Connector to transform smart contracts into an automated, visual workflow using the rich Azure Logic Apps Connectors ecosystem. We introduce the core concepts of Logic Apps and demonstrate a sample workflow triggered by a Solidity event, including how to read smart contract properties and write them to Azure Blob storage. Customers across industries, whether in an industrial setting or retail environment, are looking for ways to remotely provision and manage their IoT devices. Direct device access may not always be feasible when IoT devices are out in the field or on the factory floor. Microsoft Azure IoT Device Agent enables operators to configure, monitor and manage their devices remotely from their Azure dashboard. In this episode of the #IoTShow you will get an overview of Microsoft Azure IoT Device Agent with a demo. Learn best practices on how to manage your Kubernetes clusters from field experts in this episode of the Kubernetes Best Practices Series. 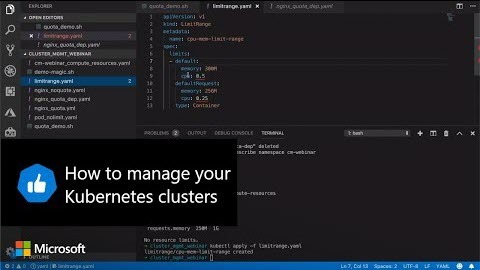 In this intermediate-level deep dive, you will learn about cluster management and multi-tenancy in Kubernetes. 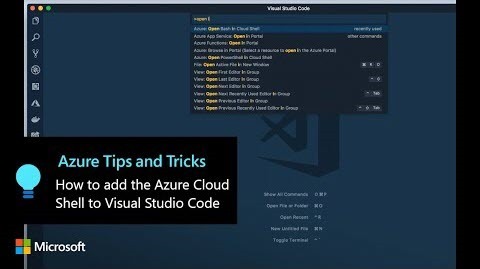 In this edition of Azure Tips and Tricks, learn how to add the Azure Cloud Shell to Visual Studio Code. To add the Azure Cloud Shell, make sure you have the “Azure Account” extension installed in Visual Studio Code. 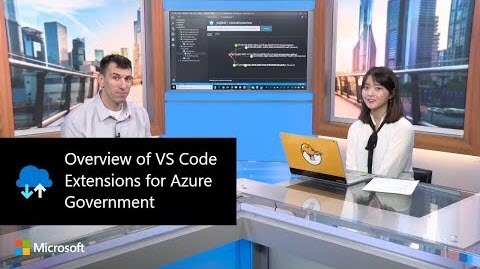 In this episode of the Azure Government video series, Steve Michelotti sits down with Yujin Hong, Program Manager on the Azure Government Engineering team, to discuss many of the incredible VS Code Extensions for Azure. VS Code has quickly become the most popular editor in the world and there are numerous reasons for this, but one of the key reasons is VS Code’s extensibility. There are numerous VS Code Extensions available for Azure, and now these same extensions can be utilized for Azure Government! In this demo-heavy video, Yujin will show the unified authentication experience that enable all these cool extensions to seamlessly authenticate to Azure Government. She then walks through several demos that show how easy these extensions make it for developers to work with Storage, App Service, Cosmos DB, and Azure Functions in Azure Government. If you’re a developer who works with Azure Government, this video is for you! How do you think about building out your data pipeline in Azure? Discover how the Modern Data Warehouse solution pattern can modernize your data infrastructure in the cloud and enable new business scenarios. This is the first episode of an 8-part series on Azure SQL Data Warehouse. Paul Stovell, the founder and CEO of Octopus Deploy, joins the podcast today. Paul is an expert on all things automated deployment and Cloud operations. He started Octopus Deploy back in 2011, but prior to that, he worked as a consultant for about five years. Octopus Deploy is a pretty major player in the market. Their mission? To do automated deployments really, really well. Today, it helps over 20,000 customers automate their deployments, and employs 40 brilliant people. It can be integrated with Azure DevOps services and many other build services. On this week’s episode, Paul talks about his career journey and what led him to create Octopus Deploy; his accomplishments, goals, and visions for Octopus Deploy; which build servers integrate best with Octopus Deploy; his tips and tricks for how to best utilize it; and his vision for the future of DevOps. In this Cloud Commercial Communities monthly webinar and podcast update, get links to both the upcoming links for February and links to webinars and podcasts from January. Each month the team focuses on core programs, updates, trends, and technologies that Microsoft partners and customers need to know to increase success using Azure and Dynamics. While much of the content is available for on-demand consumption, attending live webinars enables you to participate in Q&A with the webinar hosts. Learn about Guru, which is Newgen's fully-integrated portal that enables merchants to have a complete view of their payments, generate reports, capture/void transactions, and perform refunds. Guru is a fully cloud-based solution hosted completely on Microsoft Azure. 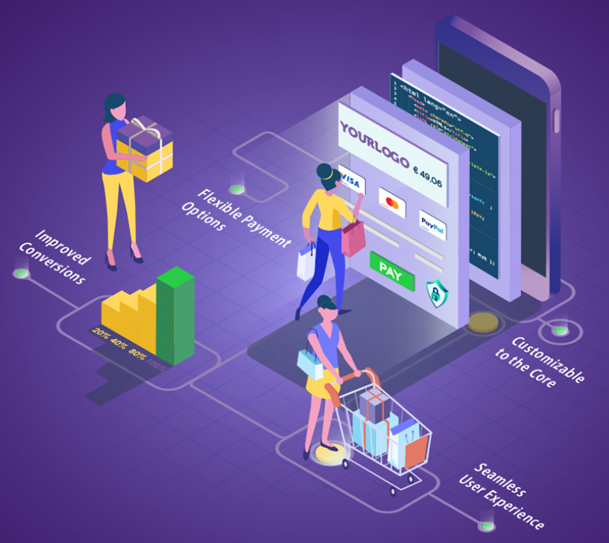 It is a fully-managed SaaS solution that comes as a value addition with Newgen's Payment Gateway—a cutting edge payment technology for merchants. Last week at the DistribuTECH conference in New Orleans, Azure IoT partners showcased new solutions that bring the next level of “smart” to our grids. We invited eight partners to the Microsoft booth to demonstrate their approach to modernizing infrastructure, and how Azure IoT dramatically accelerates time to results. Learn how each partner showed new use cases for utilities, infrastructure, and cities that take advantage of cloud, AI, and IoT. With solutions that take full advantage of the intelligent cloud and intelligent edge, we continue to demonstrate how cloud, IoT, and AI have the power to drastically transform every industry. Smart grids will drive efficiencies to power and utility companies, grid operators, and energy prosumers. Microsoft, working with partners like Dell EMC, shared new capabilities that continue to deliver the power of the intelligent cloud and intelligent edge to government customers and their partners. Last year, we announced Azure Stack availability for Azure Government customers. With Azure Stack for Azure Government, agencies can efficiently modernize their on-premises legacy applications that are not ready or a fit for the public cloud due to cyber defense concerns, regulations, or other requirements. Data Box products help agencies to migrate large amounts of data, for example backup, archive or big data analytics, to Azure when they are limited by time, network availability, or costs. While Microsoft has long been a partner-oriented organization, some things are different with cloud. Specifically, partners need Microsoft to be more than just a great technology provider, you need us to be a trusted business partner. This requires long-term commitment and the ability to continually adapt and innovate as the market shifts. This has been, and continues to be, our commitment. Our partnership philosophy is grounded in the foundation that we can only deliver on our mission if there is a strong and successful ecosystem around us. Julia White, Corporate Vice President, Microsoft Azure, highlights our key partner-oriented investments and some of the resources to help our partners successfully grow their businesses. The Azure Marketplace is the premier destination for all your software needs – certified and optimized to run on Azure. Find, try, purchase, and provision applications & services from hundreds of leading software providers. You can also connect with Gold and Silver Microsoft Cloud Competency partners to help your adoption of Azure. In the first half of January we published 67 new offers. With the evolution of the Internet of Things (IoT), Colfax saw an opportunity to transform its businesses. What was unique about Colfax’s IoT initiative – named Data Driven Advantage (DDA) – was their vision of enabling customers to leverage the extensive ESAB portfolio. They selected PTC Thingworx for Azure and the Microsoft Azure IoT platform. With ESAB Digital Solutions, customers now have data to understand how processes, labor, and material contribute to the cost of each part. 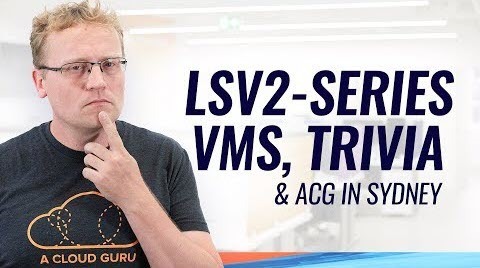 This time on Azure This Week, Lars talks about Lsv2-series VMs are now in general availability, there’s a new version of the Microsoft Threat Modelling Tool out, Azure trivia is back every Monday, and come meet the team from A Cloud Guru next week at the Ignite Tour in Sydney.